Hi lovelies! 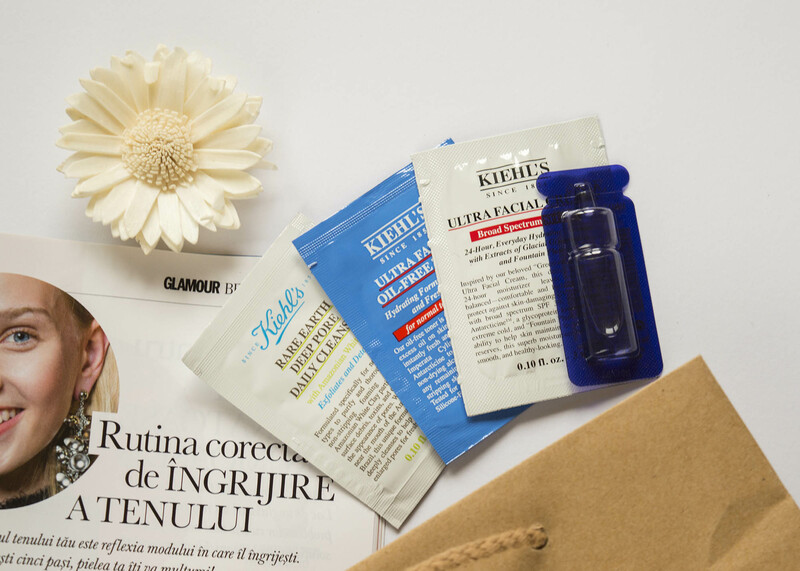 Last week I told you all about the Kiehl’s launch event in Cluj, so now I think it’s time to share my impressions about their products. I’ve been using the samples and the products from the goodie bag in the past two weeks, so I got the chance to see how they work for my skin, and I think I’m ready to give you my opinion about them. 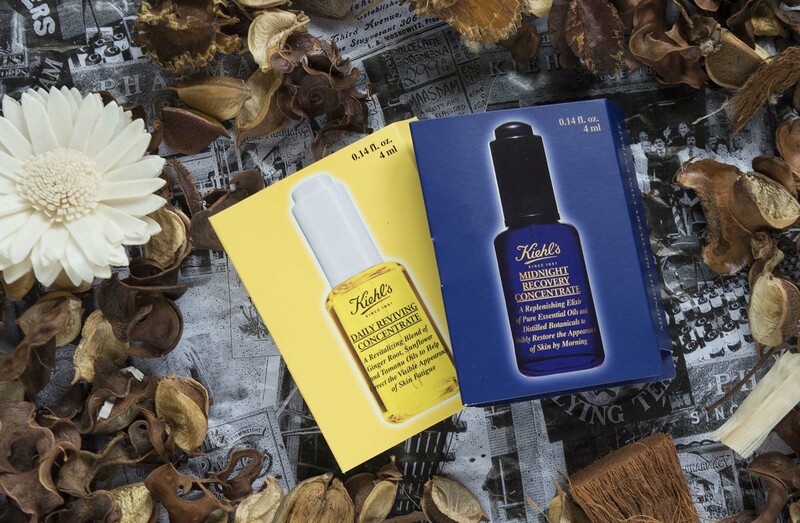 A night time oil that visibly restores the appearance of skin. My favorite product of all is the Midnight Recovery concentrate serum, a mix of essential oils (lavender, evening primrose, jojoba, rosemary, sunflower seed, etc.). I know it might sound weird – using oils, when I already have a skin with oily tendencies? Well, I can definitely tell you that since I started using it, my skin is soft, smooth and luminous. You can definitely see the effects, even after just a few days of using it. It gets absorbed into the skin in a couple of minutes, and it repairs and protects the skin, without clogging the pores. And the weirdest thing… I don’t even get that much sebum anymore. The thing is, once you use too many exfoliators, and sebum-reducing masks, and other stuff like that, you risk turning your skin from oily to dry. But if your skin receives enough nourishment and hydration, it doesn’t feel the need to secrete so much sebum anymore. It’s quite expensive though: about 180 RON for 30 ml. However, let me tell you that I finished a 2 ml sample in 2 weeks, using it every night. And I was way too generous with the quantity in the first two days. My guess is that a 30 ml product would be enough for 7-8 months. So if you think about it, it’s a pretty good investment. The daily reviving serum is also amazing, it smells so fresh and it gives you a boost of energy in the morning. It’s also a perfect make-up base; the foundation glides so easy and smooth on the skin, and it looks very natural. A few other details about this product: it’s paraben free, 100% natural origin, mineral oil free, non-comedogenic, non-acnegenic. The serum is a mix of essential oils (ginger root, sunflower, grapefruit and orange peel), and it smells diviiinee!! I use it before the ultra facial cream, and they both do an amazing job in my morning skincare routine. The ultra facial cream is a best seller for the brand. This cream is super hydrating and nourishing, but it also has a lightweight texture, so it’s perfect for daily use. It gets absorbed into the skin really fast, it’s not greasy or thick at all. I’m sure this will help a lot with my hydration level (because, as I told you in the previous post, I got some pretty bad results at the skin test – 25 out of 50%). This one is also perfect for any skin type, even for the sensitive one, and it has a subtle scent you can barely feel. Kiehl’s just launched the SPF 30 version of this moisturizer earlier this year, and I got a sample of that as well. It’s an improved formula, because it also protects you from the sun (both UVA and UVB rays). The smell is slightly different and the texture is thicker, but it also gets absorbed pretty fast and it’s worth trying. It’s always great to have SPF incorporated in your daily moisturizer, or else you can easily forget about this step. The calendula & aloe gel mask is sooo refreshing! It’s one of those perfect products to use anytime, even when you are in a hurry, if you want to pamper yourself a little bit and enjoy the effects of fresh ingredients on your skin. You need to keep this mask on your face for only 5 minutes, but trust me, it’s enough to give you a healthy glow! This version is good for any skin type, but they also have different types of masks for all kinds of skin problems (imperfections, dry skin, dull skin, to minimize pores, etc.). This lip balm smells so fresh and delicious! I like that it’s very nourishing and it makes my lips soft and silky. In the ingredient list, you can find aloe and vitamin E. The only problem is with the applicator, because you need to use your finger to apply it evenly on the lips. I’m not sure if it could handle extremely dry winter lips, but it’s the perfect balm for quick, soft & radiant lips. After doing the skin test, I also received a couple of samples dedicated for my skin problems. I already told you all about the Midnight Recovery Concentrate, and the Ultra Facial cream (since I also found them in the goodie bag), but I want to tell you a few things about the other two samples as well. I gotta make a little introduction first. I use two different cleansers at the moment: a washing foam from Himalaya Herbals and a 3-in-1 product from Elmiplant (exfoliator, cleanser and mask). They both do their job pretty well, but they feel kinda’ harsh and aggresive on the skin. That’s because I usually tend to pick cleansers for combination to oily skin, which promise to remove sebum and impurities, but I must admit they feel a bit too drying (at least the drugstore ones I’ve tried). They stripe out all the oils in my skin, even the good ones. So I must say that this Kiehl’s cleanser is super soft and delicate with my skin. It has exfoliating properties, it’s super efficient in removing any make-up, dirt or impurities, and it also minimizes the pores. But the main difference is that it has such a delicate formula, and you feel your skin super soft and clean after using it (and it’s not drying at all). I had just a tiny sample, so I was able to use it only three nights in a row, but I think this product is also a good investment. A toner formulated to reduce excess oil on skin’s surface. This toner is also very gentle and soft, unlike other toners I’ve tried so far. It actually felt like plain water, if that makes sense. It doesn’t have any oils or alcohol, and it leaves your skin clean and refreshed. Even though this isn’t a skincare product, I wanted to include it in this post, because it’s quite a good catch. 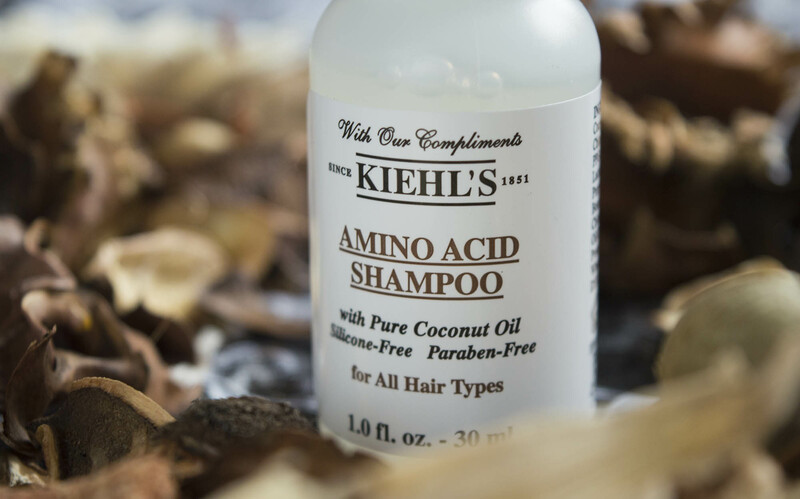 The amino acid shampoo with coconut oil is very efficient. It cleans your hair really well, and it does a lot of foam. Not to mention it smells incredible, and so natural, it doesn’t have a chemical scent. It’s suitable for all hair types, and it’s silicone-free. Aaaaand… it’s a wrap. I’m so happy I included these products in my skincare routine, because the results are noticeable, even after just a couple of weeks of using them. I’m impressed! You can definitely tell they’re high-end, and they carefully pick the ingredients to help you achieve a glowy and healthy skin. I would definitely repurchase the night serum and the ultra facial cream, because they’ve done wonders with my skin. And I’d love to try some of their other face masks & cleansers, since they seem to work so well for me. Make sure you don’t miss any new updates! 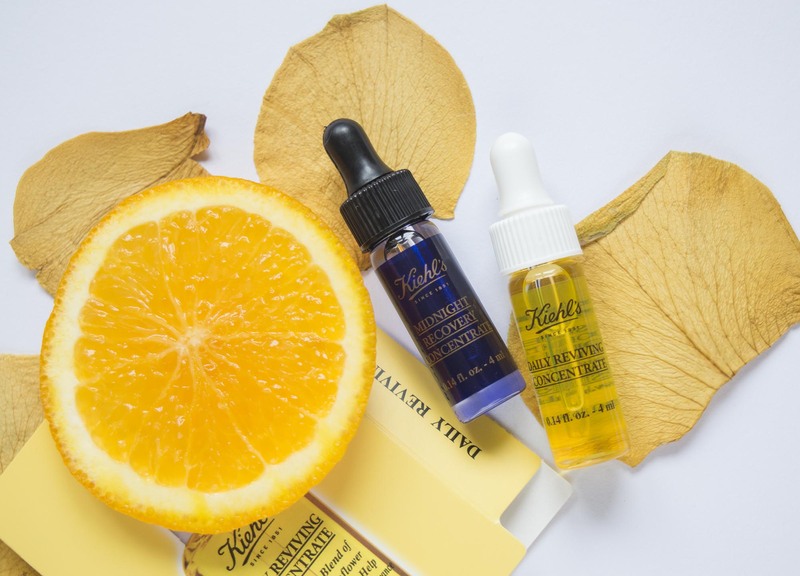 I love Kiehl’s products!! Midnight Recovery concentrate is my all time favourite of their products, although I tried a sample of the Daily Reviving concentrate and I really like it, I’m thinking of getting it once I run out of my current morning serums. The only product i tried from Kiehl’s was the Midnight Recovery Eye cream, which was quite expensive, but so, so worth it! And take it from someone who has hereditary dark circles & many sleepless nights in their agenda. I am eager to try more from their brand, but i’ll keep reading reviews and see what suits my sensitive skin type first. I’m wondering if that hydration “test” is real. I got 26/50 and the 2 ladies before me got a 25, just like you. It’s kinda hard to believe 4 random people have the exact same level.